Some time ago I claimed that Eric Hobsbawm’s work was one the initial spurs that pushed me towards becoming a historian. However, it would be misleading to leave the impression that the long journey to my current profession was prompted solely or even primarily by such an academically reputable source. 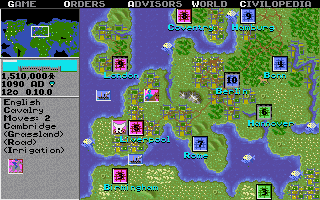 In fact, a larger part was probably played by a computer game: Sid Meier’s Civilization. Look out, Romans! You’re about to get smashed by my English cavalry! 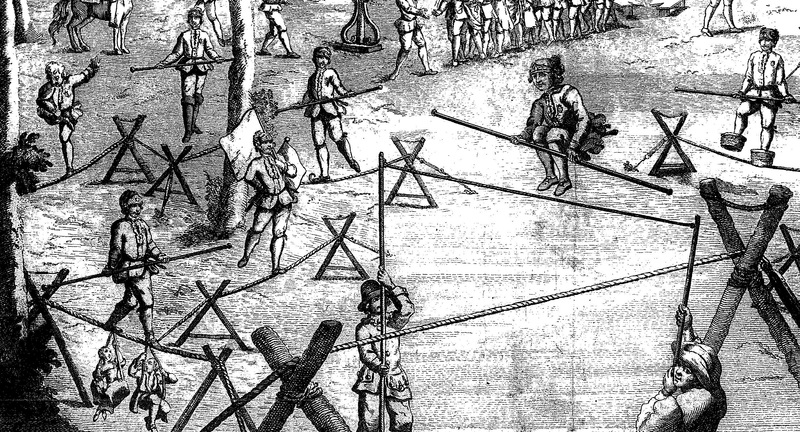 Rope dancing, now usually known as ‘tight-rope walking’, had already been a popular entertainment for thousands of years by the time Mrs Rymers arrived in Norwich. It was a common amusement in the seventeenth century, apparently beloved by rich and poor alike. The Duchess of Cleveland, King Charles II’s famous mistress, ‘greatly admired’ one these acrobats, and Samuel Pepys reported that he ‘saw the best dancing on the ropes that I think I ever saw in my life’ at Bartholomew’s Fair in 1664.